Our Bermuda grass hay is raised here on the farm. It is fertilized, irrigated, and harvested every 4 weeks. 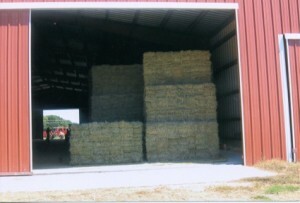 We use a Bale-Bandit which makes 21 bale bundles. We’re sorry, we currently do not have any hay for sale.